Juneau Odenwald is a full-service New Orleans, Louisiana-based sheet metal fabrication contractor serving local customers since 1996. Our skilled craftsman work in our 6,000 square foot sheet metal fabrication facility with computer assisted fabrication in New Orleans, Louisiana to create custom sheet metal products that are made to order! Among the things that set us apart from other sheet metal competitors is our commitment to service, lead time and quality. Having an in-house production facility allows us to meet almost any deadline, offering you the shortest lead times around. And of course, we do this without ever sacrificing quality or service. When it comes to sheet metal, there are many options available for procurement. You can order from a “big brand” and have it shipped to your destination, for instance. That could take anywhere from weeks to months depending on where your supplier is located. And, surprisingly, it also makes a difference where your supplier’s supplier is located. For instance, in late 2017, JOC magazine reported that a massive shutdown of Chinese factories was affecting delivery of everything from plastic interior components for automobiles to steel necessary for construction (including roofing). Today, the ongoing trade war between the US and China is further complicating this situation, leading to cost increases, delivery delays, and numerous other problems. Despite that, many companies selling metal roofing and other steel products in the US continue to source their raw materials from China, and only put the finishing touches on their products in their US factories. What does this mean for customers? Simply put, it means that you’re paying more for a product that arrives later, if at all. It also means adding a great deal of complexity and stress to a situation that is already fraught. At Juneau Odenwald Roofing, we do things differently. We believe that custom sheet metal can be sourced affordably from American craftsman, offering not only cost-savings, but numerous other benefits. Why does working with a local Louisiana-based sheet metal fabrication contractor matter to you and your customers? Save Money - Perhaps the single most visible benefit here is the ability to save money over going with “big brands”. 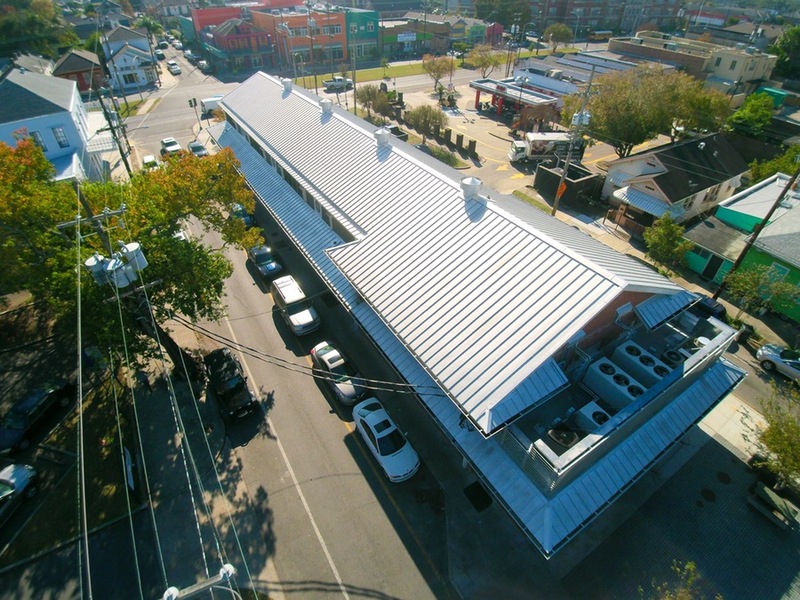 Yes, there are numerous companies available that promise the ability to customize sheet metal, whether you’re installing a new roof on a New Orleans home or business, constructing a steel building, working on a project for a municipality, or something else entirely. The issue here is that many of these companies charge more – it's a premium associated with the brand and nothing more. In exchange, you not only pay more, but you usually must wait for your metal to be fabricated on the other side of the world, and then shipped by sea to the US, before it is loaded onto trucks or railcars for delivery to Louisiana. At JOI Roofing, we offer affordable sheet metal customization without the premium charged by big brands. Save Time - As mentioned above, working with other competitors means that you will need to budget additional time for your project. After all, it can take a very long time for a product manufactured in Asia to be produced, sent to the shipping yard, loaded onto a cargo ship, transported across the Pacific, unloaded in Los Angeles or another port city, and then transported halfway across the US to Louisiana. JOI Roofing is located in New Orleans. Our 6,000-square foot production facility is also located here, as are the skilled American craftsmen we employ for sheet metal fabrication and customization. You’ll spend significantly less time waiting for your delivery. And, when you are bidding on government projects, or simply trying to satisfy commercial or residential customers, every single day makes a difference. At JOI Roofing, we are committed to not only outstanding customer service, but to ensuring that you have the lead time necessary to complete your project. Our local facility and in-house talent mean that we can meet virtually any deadline for sheet metal customization, no matter how large or small the job might be. Whether you’re roofing a single small building, need to roof a large warehouse, or are roofing multiple buildings, we deliver on time, every time, ensuring that you can do the same. You are able to bid on jobs with a shorter completion time, which makes you stand out from the competition. You are able to finish your jobs faster, leading to higher customer satisfaction and improved reviews and feedback. In an age where customer sentiment carries greater weight than ever before, that is a crucial advantage! Skip the Hassle: Sadly, we have all become accustomed to a significant degree of hassle in our daily lives when it comes to the companies we patronize. JOI Roofing is committed to changing that paradigm. We want your experience with us to be as simple as possible. We offer an immediate consultation with a knowledgeable expert who will assess your needs, goals, and concerns involving the project, and offer solutions in terms of sheet metal customization. From roof coatings to sheet metal colors to metal gauge, we offer a host of options that ensure you are able to achieve exactly the results that you demand with no hassle and no wasted effort. Deliver Peace of Mind: Yet another reason to consider working with a local Louisiana-based sheet metal fabrication company is this: it ensures peace of mind. Whether you’re working on a personal project, dealing with a city or parish government, working with the state, or dealing with commercial clients, that’s a vital consideration. At JOI Roofing, we are a local company, employing local craftsmen. Sourcing from us bolsters the state’s economy and ensures jobs for Louisiana residents. However, it also means that you have a local connection to whom you can turn with questions or concerns (whether those are yours or your customers’). We stand behind our sheet metal products 100%, and that translates to peace of mind for all involved. Our customers often wonder exactly what we can produce in our facility. We are proud to offer production of every component necessary for your roofing project, whether it is large or small. 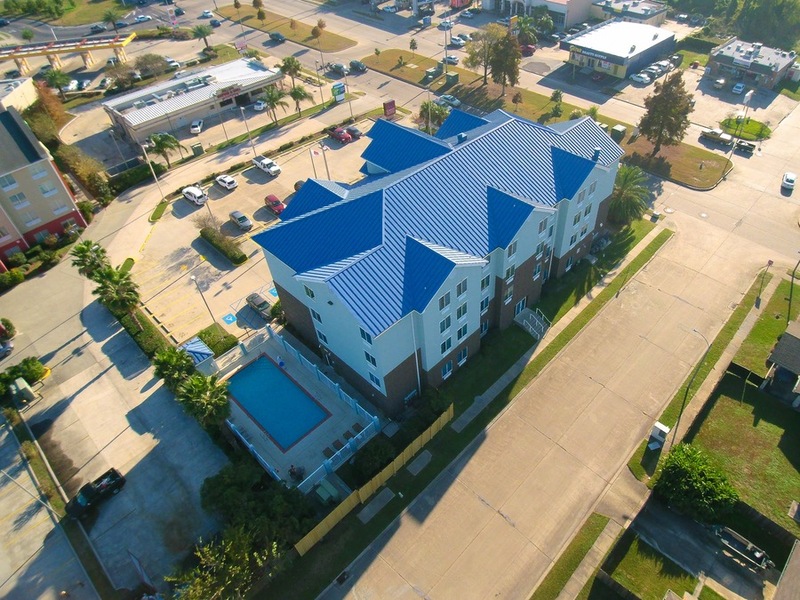 We custom create sheet metal roofing panels (standing seam) from a variety of metal gauges to offer the protection and durability that you deserve. In addition, we can offer a range of color options, all protected by one of the industry’s longest-lasting clear coats to ensure fade prevention for your roof. Whether your project is residential, commercial, or industrial, we can offer the customized solution you need while ensuring the highest quality components, along with cost and time savings. Sheet metal fabrication has a number of applications for copper including awnings, chimney caps, canopies, conductor heads, historic sheet metal restoration and gilding. To meet this demand, we have created Crescent City Copper – a company that manufactures custom copper products such as awnings, gutters, leader heads, cupolas, dryer vents and more. Please visit Crescent City Copper today for more information about our custom copper products. Your time is valuable, and we understand that. Our process is designed to be as streamlined as possible, while still providing us with the information necessary to provide you with ideal results. We begin with a free estimate. Simply contact us and we will set up a consultation that allows you to explain your custom sheet metal needs, including the type of project, the scope of the project, time constraints, customer requirements like color, metal gauge, aesthetic considerations, and more. From that point, we will provide you with an accurate quote based on your project and client expectations, including an estimated cost and completion time that fits with your own completion timeline. If you choose to move forward, we immediately begin working on your sheet metal customization, keeping you in the loop at all times. The result? One of the smoothest, easiest to deal with processes in the industry. Are you ready to experience the difference that working with a local sheet metal fabricator in New Orleans can make? Whether you’re interested in saving time, money, or hassle, while enjoying the highest quality materials and workmanship, we invite you to contact us today at 504-733-0331 to schedule your consultation. We look forward to serving your needs.